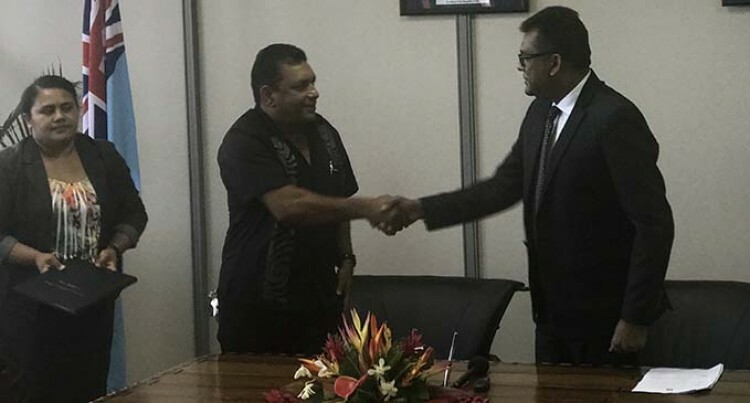 Ratu Kadavulevu School and Queen Victorial School will receive funding to refurbish their kitchens, thanks to agreements that were signed on Friday. The Permanent Secretary for the Office of the Prime Minister Yogesh Karan signed a Memorandum of Agreement to fund the development projects. Along with the schools, a resource centre and a retaining wall will be built in two other communities respectively. Mr Karan signed the agreement on behalf of the Prime Minister Voreqe Bainimarama. The endorsed project will refurbish Ratu Kadavulevu School kitchen costing $267,050 and Queen Victoria Schools kitchen with project costing $237,620. The two projects will be undertaken by Deuba Point Limited and Super Construction and Civil Works Limited. Mr Karan said these kitchen refurbishments, after being badly damaged during Cyclone Winston, would see compliance and minimum requirements are met. Super Construction and Civil Works Limited signed on to build a resource centre in the Nabua Community costing $321,550. And a retaining wall and drainage system worth $10,073.16 will be built in the Matanakilagi community fully funded by the Government, which the local community will build. Mr Karan said Mr Bainimarama put forward these initiatives in collaboration with the Ministry of Economy to assist children of poor and needy backgrounds.